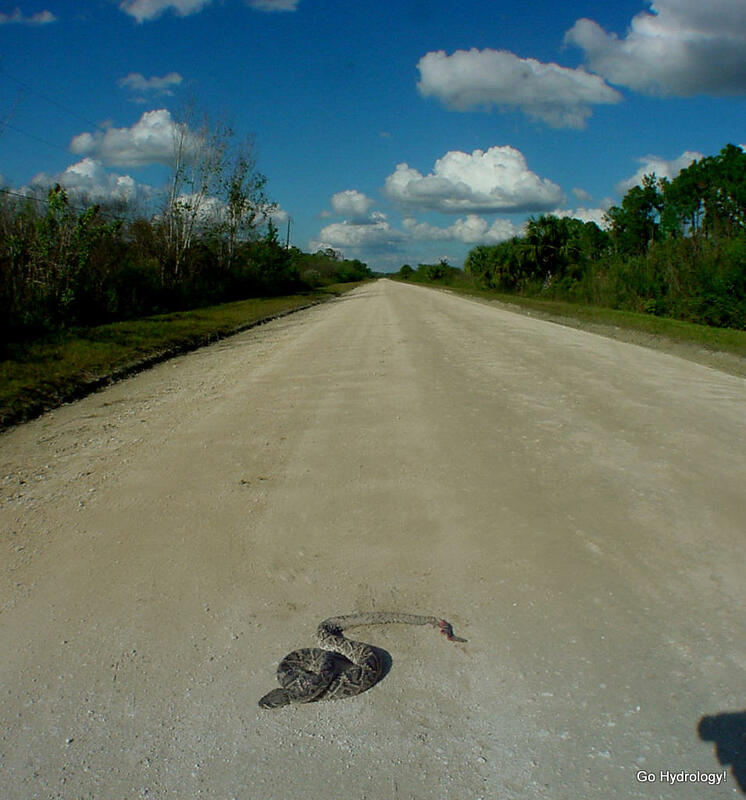 Here's a snake that should have made it across the road. Instead a vehicle tire ended its life. 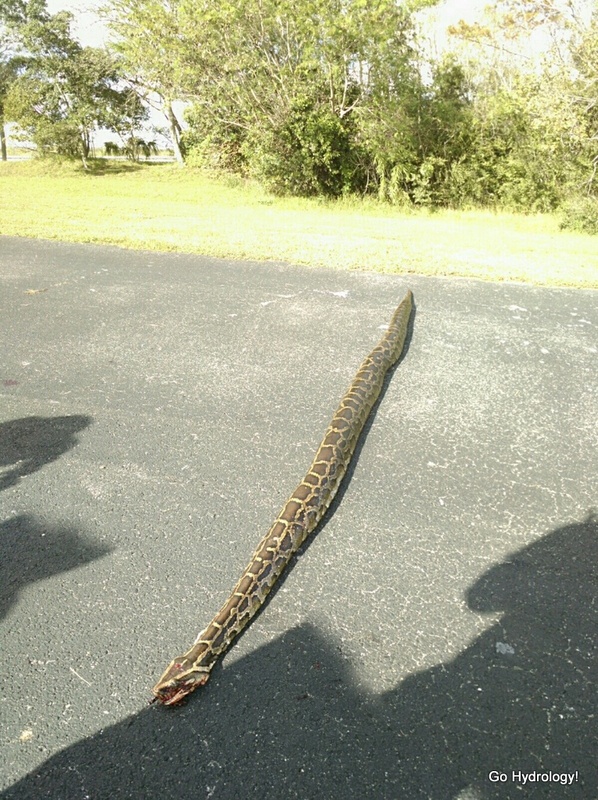 Below is a snake that almost made it across the road (...to escape). Until a ranger put a stop to that. But only one (the rattlesnake) is welcome in the swamp.